Primarily, a 9th century warrior and landowner from Northern Ireland, though I am experimenting with other times and places as well! Being squired to Duke Marcus Eisenwald, I am associated with anyone who is part of his and Countess Margerite Eisenwald’s inner circle/household known as Hus Hygge. I am also protege to Antonio de Luna. But beyond these affiliations, I consider myself a friend to many, many households throughout Æthelmearc, and believe that strangers are just friends I haven’t met yet. By far, heavy combat is my main focus, and I’m always seeking to fit in more service. 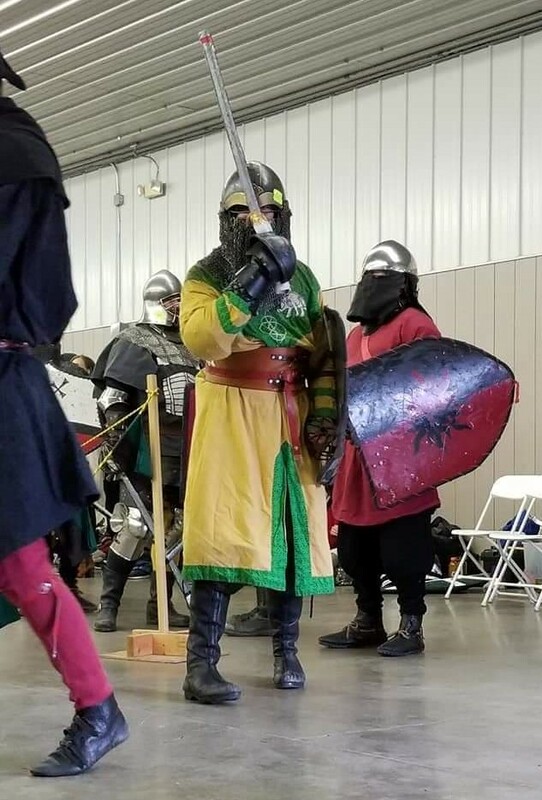 Just secondary to heavy is my passion for historical combat, and I’m an active student of German martial arts from the 14th through 16th centuries, with a primary focus on long sword. But I have and continue to dabble in both rapier and cut and thrust. What folks may not necessarily know is that I have a great love of research in general, and am always seeking to learn more. Also, I technically have an art form I pursue! I am an active, though very amateur bard. Will sing for food or drink! I haven’t had a whole lot of official jobs. I’ve done some voice heralding here and there, which I really love, and served as chamberlain while my Knight and Countess held the throne. Beyond that, I wash dishes, carry stuff, and am an MIT. 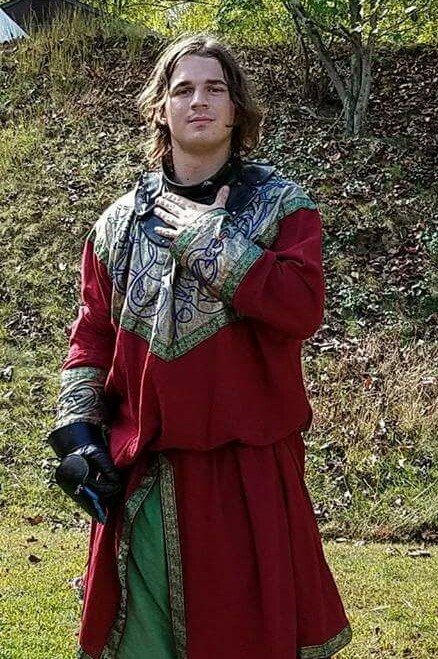 I joined the SCA because I wanted the pageantry, joy, and excitement that I associated with things like Arthurian Myth, and wanted to have quests to go on, and to become a Knight someday. None of the goals listed above have changed, I’m still endlessly chasing that rush of beauty, pageantry, and romance, and walking the path of chivalry. But I’ve added a goal to do more service, to help more people, and do good. I wasn’t thinking quite so actively about those things when I joined three years ago. To be more knightly. Is that answer cheating, since it encompasses multiple things? If I had to pick one, I’d probably improve my time management skills, so I could better achieve my goal of both fighting and serving like an energizer rabbit. Better organizational abilities! I have some ideas for events that I think would be fantastic, but have little idea how to put them together, and keeping multiple balls in the air is difficult for me. Knighthood. It’s the pursuit that brought me here, and a mighty tool to be wielded in the service of good. Everything I want to be is encompassed by what I think of as the chivalric ideal, and becoming worthy is my loftiest dream. Last, I probably want to meet you or talk to you! I’m always rushing around, but come say hi! I need more friends. Whoever is reading this, I hope you have a day filled with joy and beauty.